As a teen he had a reputation as a watch repairman because he dismantled and rebuilt timepieces for friends. Henry Ford invented the moving assembly line based on conveyor belts. He was the founder of the automobile company, the Ford Motor Company, and he developed the first gasoline “buggy” in Detroit for a long time, sometimes called a was called a Quadricycle. His mother died when Henry was 13. This subsequently led to his leaving home, as he had no desire to be a farmer. Had about 300 watches and was considering going into the watch business, but passed it up because he thought it was not universal enough. He became good friends with Thomas Edison. Interestingly enough in 1891 he became an engineer and then was promoted to chief engineer with Edison Illumination Company. He may not have known Edison then, but he would later in life. The automobile was invented by Karl Benz. Went into the Automotive Business full time on August 16, 1899. 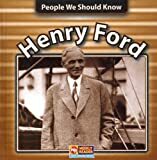 The Henry Ford Company was his second company, and was based of his interest in racing cars, specifically his Quadricycle. However he was forced out of the company, which later became Cadillac. After 11 years, in 1914 after producing his first automobile he doubled the daily wage of most of his workers. He reduced the time to produce a chassis from 728 minutes to 93 minutes. April 7, 1947: He died in bed next to his wife by candlelight of a cerebral hemorrhage. The candles were lit due to a stream over-flooding the power station knocking out the power to his estate.